From hand-written manuscripts to movable type, the world of publishing has now moved into the digital era. We offer a variety of resources in several eBook formats for use on the latest reading devices and smartphones. This devotional treatment of the Six Chief Parts of the Small Catechism centers on joy, specifically identifying what it means to be fully Lutheran, and joyfully so—Joy:fully Lutheran. In this volume, Gerhard addresses the terminology and essence of the ministry, the call, ordination, and qualifications of ministers. 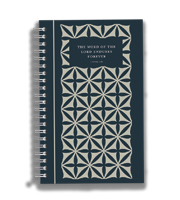 Each section has a related quote from Luther, and a short devotion from a contemporary author connects the catechetical writing with daily life. This accessible, open-design layout lets you experience the catechism like never before. These sermons make clear that Christian doctrine is not just for the classroom and textbook, but also and especially for the hearing, admonition, and consolation of all Christians. Teaching the Faith at Home: What Does This Mean? How Is This Done? Catechesis that's grounded in family life is not a new idea, but it's one that our fast-paced culture often forgets and would do well to remember and cherish. If you have ever struggled to explain theological terms, you're not alone! Find explanations in ¿Qué quiso decir Lutero? (What Does Luther Mean? ), a must-have Lutheran lexicon for college and seminary students. Does your belief in God and His Word mean you need to reject all of science? Is there a faithful way to integrate science and faith? Learn some tips and ideas for creating a firm foundation for faithful prayer life. There are no perfect families, and we all want to have stronger, faithful families. Even while the pressures of real-life issues press on every side. Live out Jesus' words and actions in your daily life using four major concepts. Fostering and nurturing good relationships, removing stumbling blocks of perception and communication, and sweating the details, both inside and to the outside of the congregation, are key to having a caring congregation. We need to give our marriage good and constant attention and receive guidance for it from our Savior God. This volume helps readers turn off the noise to focus completely on God as they read His Word. Readers are reminded that the easiest way to better understand the Bible is to read it regularly. Be encouraged to witness Christ in your everyday life through your words and your actions. Sweeten the day with 30 chocolatey devotions for women and nine irresistible recipes. Rediscover the joy of being a Christian! This primer provides pastors with a practical guide that counters common challenges that all modern preachers face during their ministry. A New Look at the Lutheran Confessions distinguishes and discusses the significant differences between Roman and Protestant views, particularly those differences pertinent to contemporary ecumenical encounters. This edition is a modern translation that brings us Luther's practical instruction, using his ITCP method: Instruction, Thanksgiving, Confession, Prayer. This book assumes that Luther's doctrine, however "abstract" some might consider parts of it to be, is practical in its entirety. Designed for small groups, high-school age and up, A Work in Progress: A Scriptural Course toward Self-Improvement addresses the desire for self-improvement and puts God's Word at the center of the discussion.